One of the first things drivers learn about car maintenance is how to change a tire. Millions of drivers do not know how to change their tires and have to rely on tow truck companies and good samaritans. Tires are the most important part of a vehicle regarding driving. A problem with your tire can lead an accident or injury. It can be easy to forget about checking your tires, but general tire maintenance can save you money and time. According to J.D.Power, a majority of tire damage and wear is due to improper air pressure in tires. 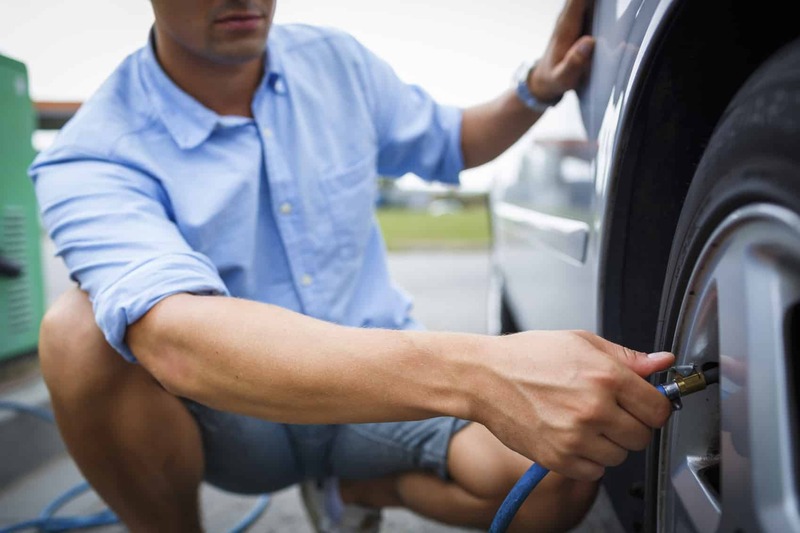 They suggest that a driver should check each of their tire’s air pressure once a month. Flat tires are the most common result when a driver doesn’t regularly check their tire pressure, tread and other functions. Tires with low air pressure decrease a vehicle’s ability to maneuver and make quick actions in the event of an emergency. The tread of a tire is also at risk of extensive wear if they aren’t properly aired up. Rocks and debris will cause more damage and decrease a vehicle’s gas efficiency according to the Department of Energy. Checking your tire pressure is simple and inexpensive. It is recommended to always have an air pressure gauge in your vehicle at all times. Check your tire to see what pressure it should be and either uses a personal air pump or go to a nearby gas station to have it aired up. Each month a driver should check each of tire’s air pressure, check for tire wear by inspecting the sidewall for nails and other objects that could cause slow leaks. The penny test is a common one to check your tire for proper tread depth. Put Lincoln’s head in between the tread and check to see if you can see his head at all. Lincoln’s head should be completely obscured, which indicates a sufficient tread. Tread depth is essential to safe driving and keeping control of your vehicle during rain and other weather conditions. Another type of tire maintenance is having your tires rotated. GoodYear recommends rotating your tires every 3,000-6,000 miles to help subside tire wear. Tire rotation involves rotating each of the tires from front to back, left to right or a combination of each. When getting a tire rotation, the mechanic will check your tire’s wear and readjust them so that the wear is more even between each. It is important to rotate your tires to prolong the life of your tires by years. Front-wheel-drive vehicles tend to wear the front tires faster due to added weight and movement from steering. When getting a new set of tires, certain packages will come with complimentary rotations and reminders for the driver. Tire alignment refers to adjusting your tires so that they are all in line and centered. An unaligned suspension can cause your vehicle to vibrate while driving and uneven tread wear. 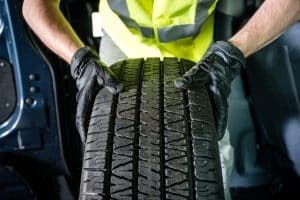 Bridgestone Tire says that a driver will normally be able to tell if they need to realign their suspension to correct the alignment but some clues to look for are uneven tread wearing, if the vehicle is pulling to the left or the right, if the steering wheel is off center when driving straight, and if the steering wheel vibrates while driving. Asking a technician to check your alignment when getting a tire rotation is an easy way to evaluate the vehicle’s alignment.